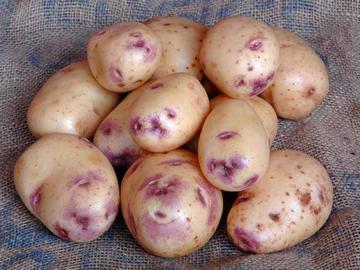 Second Early variety, producing long oval, white-skinned tubers with violet-purple eyes. Good flavour and disease resistant. Good disease and pest resistance. Culinary vegetable. Good for all-round use, excellent for chips and roasting.